1) We use “GoToMeeting” Software to share desktop and Audio during the Training. 2) You no need to install anything; you can get invitations by Email daily basis. 3) After the Live Class you can get “Recorded Session” Link and Class Notes file. 4) If you miss any class, or series of classes, you can watch Recorded Classes. 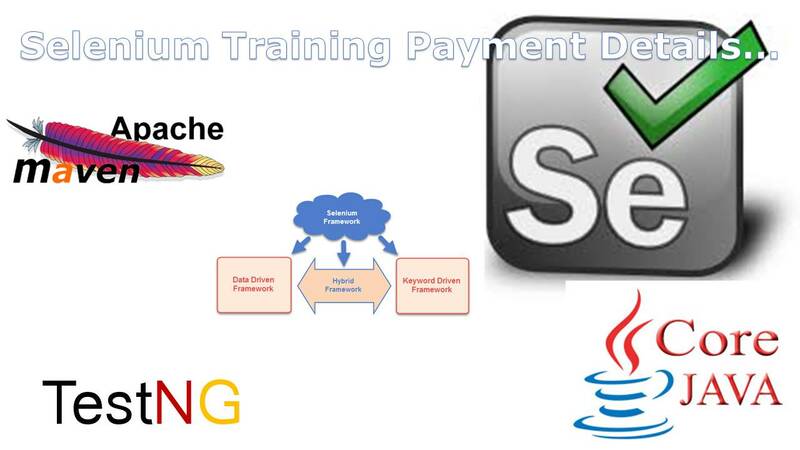 5) You can re-join with free of cost within 2 years in our Selenium Training, after attending all classes also. 6) Our main focus on 1) Selenium WebDriver, 2) Java Programming, 3) TestNG Framework, and 4) Project. 7) You go through the Manual Testing Concepts, Programming Fundamentals, and SQL Concepts before attending the Training. 8) I will teach Java Programming from Basics.